Open Radio for North Korea, a nongovernmental broadcaster to North Korea, sent its first program on the air at midnight on the 7th of this month. 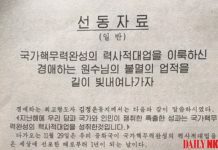 A person concerned with Open Radio for North Korea, who listened to the program in Seoul, said that the degree of sensitivity had been generally high except for a few minor noises, and the radio reception in North Korea will be great unless some radio jamming is broadcast. The program started with an interview with Young Howard, the secretary-general of Open Radio for North Korea, where he explained the background story in establishing Open Radio for North Korea, and its broadcast standards, characteristics, and managerial method. The interview was followed by a special report about the conference called Seoul Summit: Promoting North Korean Human Rights, which opened on the 8th in Seoul, South Korea. For the remaining thirty minutes from 12:30 a.m. Free North Korea Broadcasting sent its messages and reports to North Korean people. According to Young Howard’s explanation, Open Radio for North Korea is a newly conceived nongovernmental broadcaster to North Korea. It does not create its own programs. On the other hand, it is a transmitting agent taking orders from individuals and groups that want to broadcast their programs to North Korea. Mr. Howard emphasized, “It is a broadcasting system of ‘peope’s participation’ literally.” At the beginning of the program, Open Radio for North Korea had introduced itself as a broadcasting system of participation and community, in which Korean people in the South and North Koreas and around the world participate in creating programs. 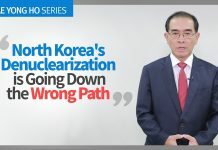 The DailyNK released the entire program broadcasted on the 7th of December with the permission of Open Radio for North Korea. The Open Radio sends programs for 1 hour everyday from midnight. It can be enjoyed only through a short wave radio.